EMCOM was established in 1975. 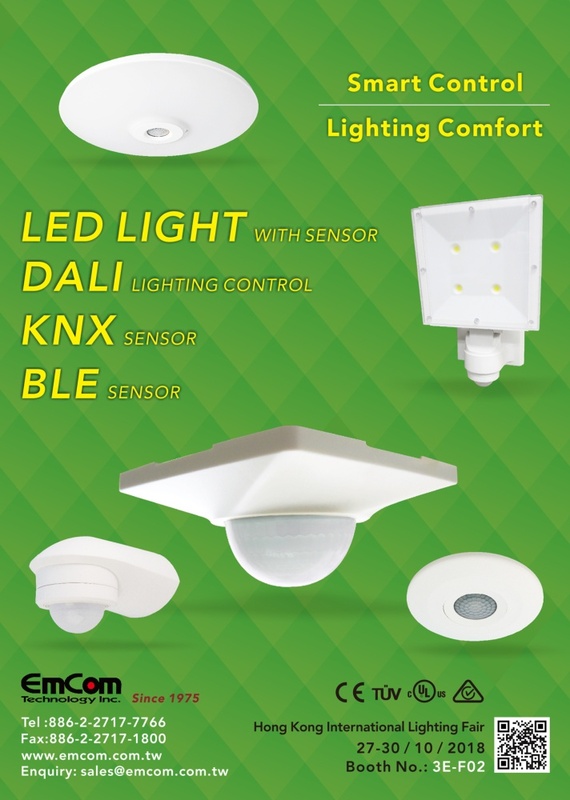 As a trustworthy company based in Taiwan and with a manufacturing plant in China, EMCOM has over 35-year experience specialize in motion/presence detector and over 20 years in high frequency sensor. We also has over 25-year experience specialize in cabling and network connector. With a group of competent RD staff and efficient well-coordinated workers in the production lines, we are ready to design and manufacture to your exact specifications for ODM/OEM requirements.